SCAFFOLDING CUPLOCK (VERTICAL) Material Supplier | BABA JAGTA SHUTTERING Pvt. Ltd.
Cuplock vertical are principally used in access scaffolding applications and also as a base structure for formwork support applications. 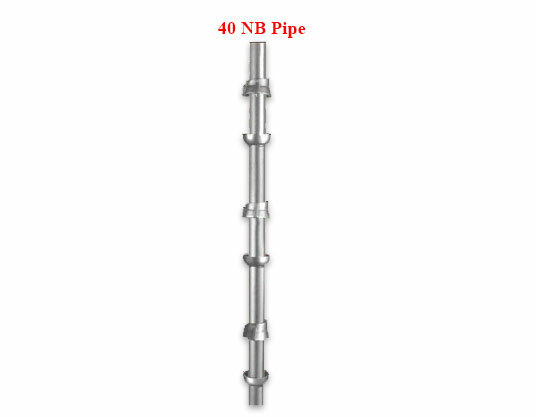 Cuplock vertical are made of 40 NB "B class pipe". Both ends are drilled to fix spigot joints. Bottom cups are welded at 500 mm distance position. Top cups can be moved and retained by a fix stop. © 2015 Baba Jagta Shuttering Pvt. Ltd.